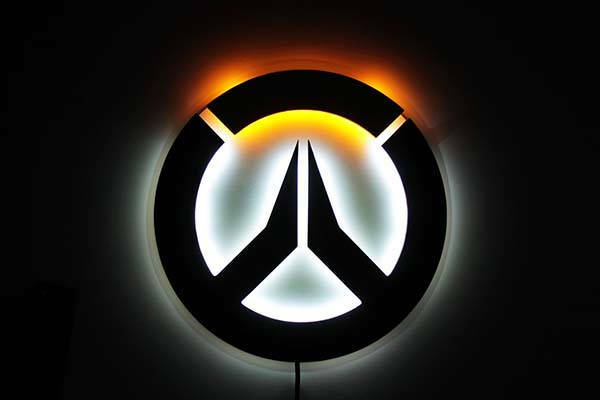 We featured an Overwatch wall lamp two years ago, but the handmade Overwatch wall mounted RGB LED light may draw your more attention if you need more optional colors. This is a well-crafted and eye-catching wall mounted LED light handmade by SolovevStore, a handicraft studio in Russia. As we can see from the images, the LED lamp is shaped as an Overwatch logo, and it delivers accurate contours and exquisite detailing. Meanwhile, it comes in two sizes to fit in different rooms, and the lamp is made of plywood for a durable construction. 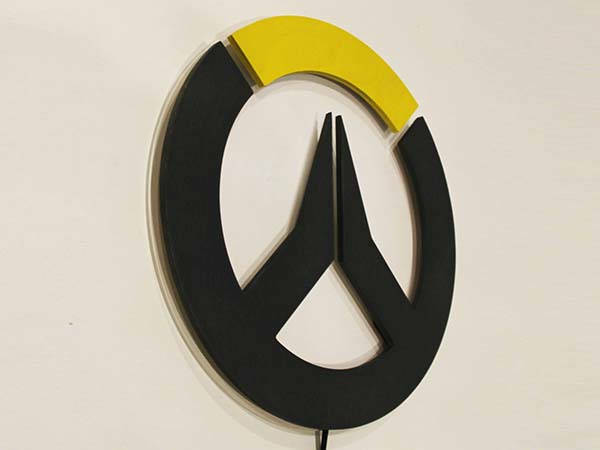 The Overwatch logo wall lamp comes equipped with LED lights behind the plywood body in order to highlight the iconic symbol from the well-received team-based FPS video game. Furthermore, it comes with a remote controller so that you can remotely control the LED lamp and choose among multiple optional colors. Moreover, the integrated cable measures 1.5 meters long to easily reach any power source in your room. The handmade Overwatch wall mounted RGB LED light starts from $80 USD. If you’re interested, jump to Etsy for its more details.